How can I remove Header and Footer from my form when in print preview? I am trying to print the above submission. Please see below scrrenshot, i don't want headers and footers in my form. Is these any way to remove the highlighted header from the printed form. 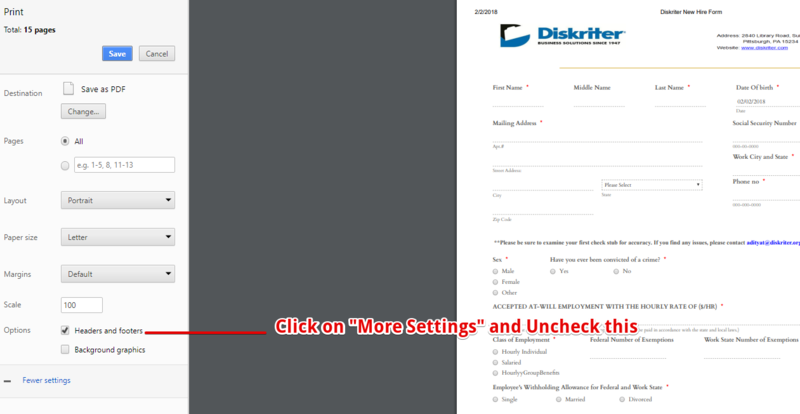 You will need to uncheck the Header and Footer option when printing. Thanks . One more question. Can I set password for my forms link? Eg. No one can open the below link without password. I have created a separate thread for your other question here https://www.jotform.com/answers/1370112. I will respond to you shortly.